Double cotton canvas. 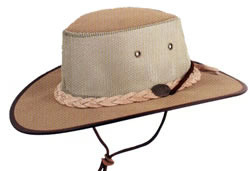 Wilder canvas brim for maximum sun protection. Flow-through mesh sides. Chin cord. Fully foldable. Waterproof. Super lightweight.